The person on this picture is Otha Porter Martin who was born in July 3rd 1897, making him only eleven years old at the time the photo was taken by Lewis Hine in 1908. The lamp on the boys head is a carbide lamp. 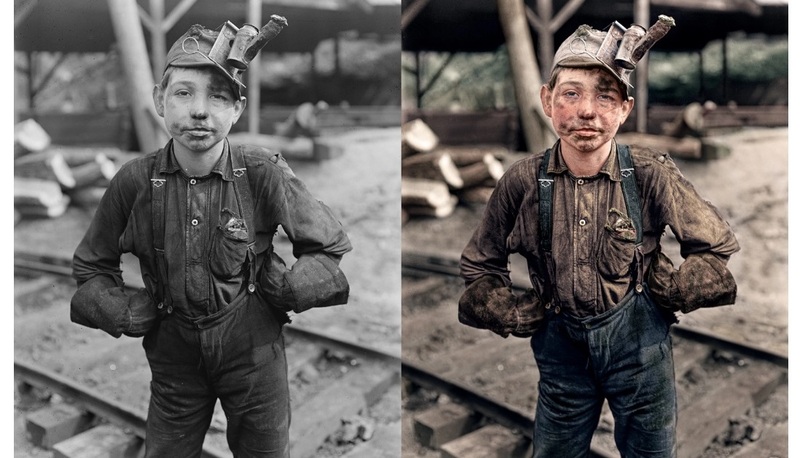 Young boys were admirable within the industry because they could be paid so little for a large salary of labor. The work they did was manual labor that could be taught very quickly and done from as young as ten years old. You can see another colorized version of this picture below. 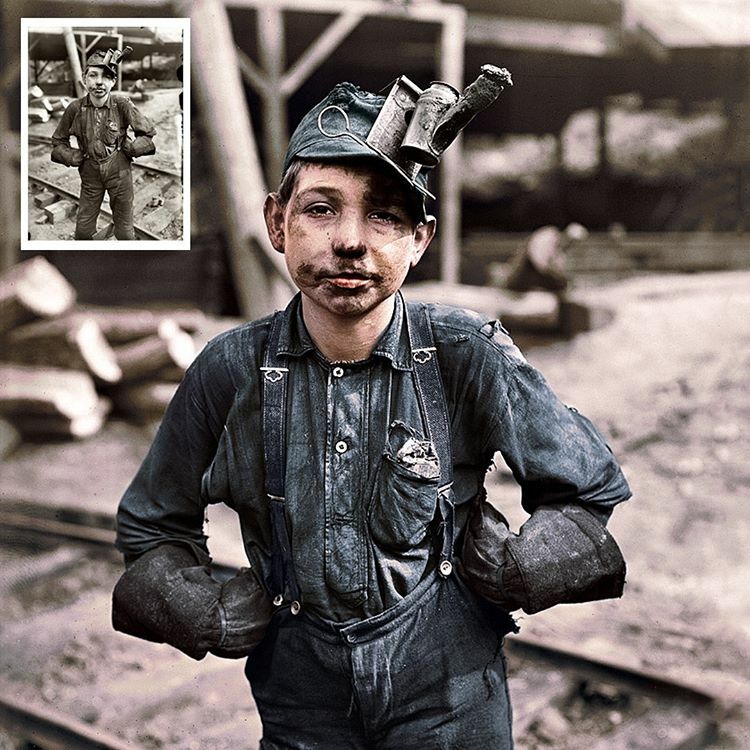 Lewis Hine (1874-1940), worked as an investigative reporter for the National Child Labor Committee (NCLC) documenting the working and living conditions of children in the United States between 1908 and 1924. There are plenty of his images on LOC web page.